Retirement, It is one of the scariest parts of life where everyone is worried about it from the beginning of their career. Retirement serves the significant components of life. It is very important to save your money for your retirement expenses and one of those ways is IRA. IRA is the individual retirement account which will help you reach your retirement goals. Everything seems complicated in the beginning but the best results are gained when you are through that complicated process. IRA is an investment account with the tax benefits that will help you save for your retirement. IRA is an individual account. The benefits may vary depending on the type of IRA you choose. Make contributions to the money that you already paid. This way your money potentially grows tax-free. When the withdrawals are made in the retirement has to meet certain conditions in Roth IRA. Traditional IRA allows you to direct pay the pretax income which can be tax-deferred. 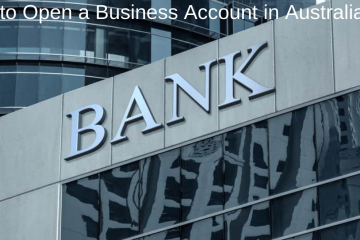 It doesn’t access to any capital until a payer makes a withdrawal. You can make money contributions from which you can diminish the tax. In simple terms, it offers the tax deduction from the contributions made. It is the transfer of funds from the retirement account to the traditional IRA or the Roth IRA. This transfer may be through check or by direct transfer. The custodian of a distributing account writes to the account holder who will then deposit to the other IRA. There are many other types of IRA like Spousal IRA, inherited IRA, self-directed, simple etc. Everything will depend on the type of investments you choose. Why do you need to invest in an IRA? The financial experts suggest that you need 85% of your pre-retirement income through your retirement. A savings plan doesn’t do the job alone you need a proper IRA to get succeed. You must try to fund your money every year on IRA to get benefited from the taxes. Monitor your investments and make the required adjustments because when the retirement is nearer you may have different goals and plan accordingly. Which is why you need to know how much to contribute. Anyone who earns can have an IRA account or a person who has a spouse with the earned income can have an IRA. Both deductible and Roth IRA will have the income thresholds that govern for those who make qualified contributions to the account. Contributions to the Roth IRA are made after paying the taxes. So there will be no deductions and the contributions made are ultimately tax-free. Where can you get an IRA? IRA’s can be opened in any financial service centres. You can open an account either online or in person. 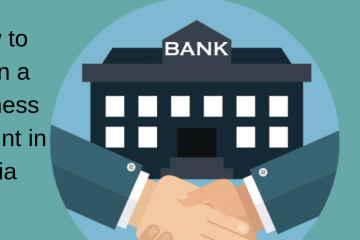 These financial service providers may be banks, credit unions, mutual fund stores. There can be both advantage and disadvantage, as a new saver, you must look for new sources to the investors such as online resources. Do you think IRA as a good investment? Yes, it is a good investment but you need to check out all the plans and choose a type of IRA depending on your requirements. Every investment comes with a certain risk, but the right investment like IRA changes the game. Instead of investing in risky platforms like stocks it is better to keep your future secured. You can’t lose form every investment you make and you either can’t earn much. Save consistently for a period of time and secure your feature for your family, for after retirement plans, for your children etc., have a happy future retirement.